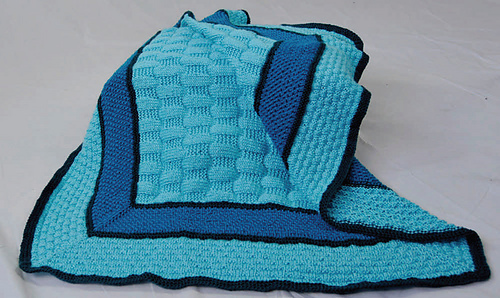 Start with a medium‐sized rectangle, then pick up stitches all around the rectangle, miter the corners and knit in the round forming a bigger rectangle with lovely bands of color and a variety of stitch patterns. The result is a soft, warm and cuddly baby blanket. Materials: 3 balls of Cascade Yarns® Pacific® in color A, 1 in color B and 2 in color C.